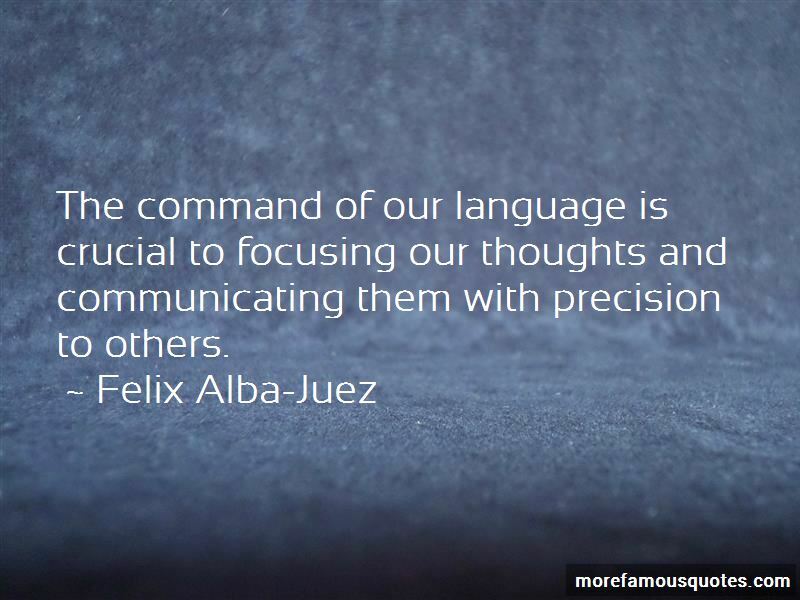 Enjoy the top 30 famous quotes, sayings and quotations by Felix Alba-Juez. 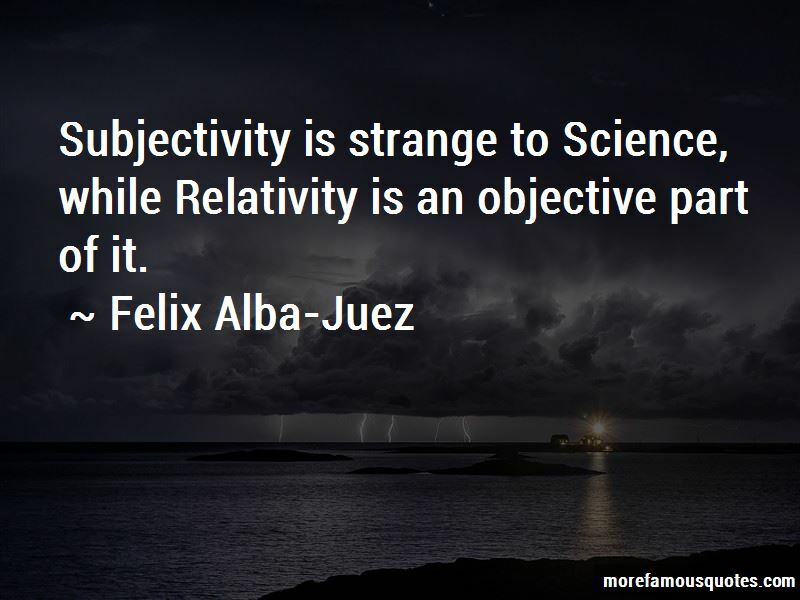 Subjectivity is strange to Science, while Relativity is an objective part of it. One can know very much but comprehend very little and, besides, ... different objectives require different levels of knowledge - though always with the maximum possible comprehension suited to the purpose. Without causality in the world, there is no point in educating people, or making any moral or political appeal. The past and the future are not a collection of instants shared by all space, but a collection of events that correspond to a possible relation of causal order with the present event. 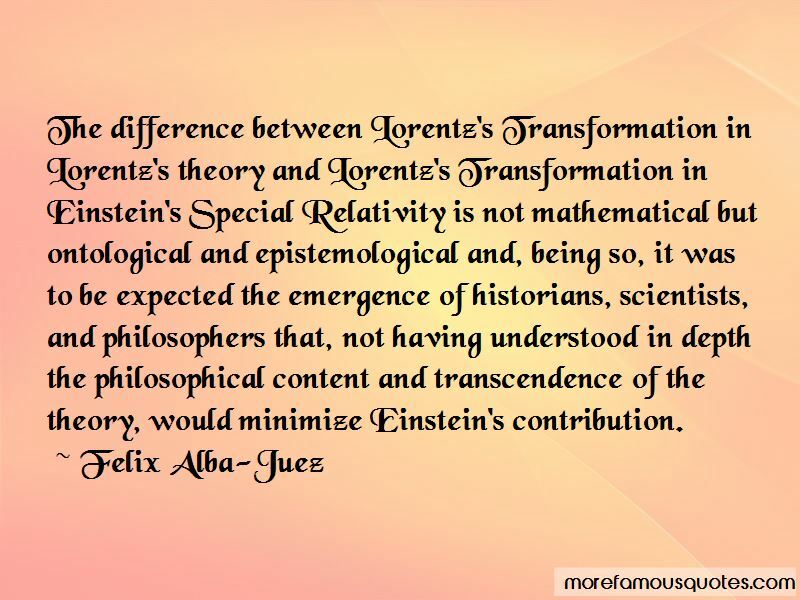 Want to see more pictures of Felix Alba-Juez quotes? 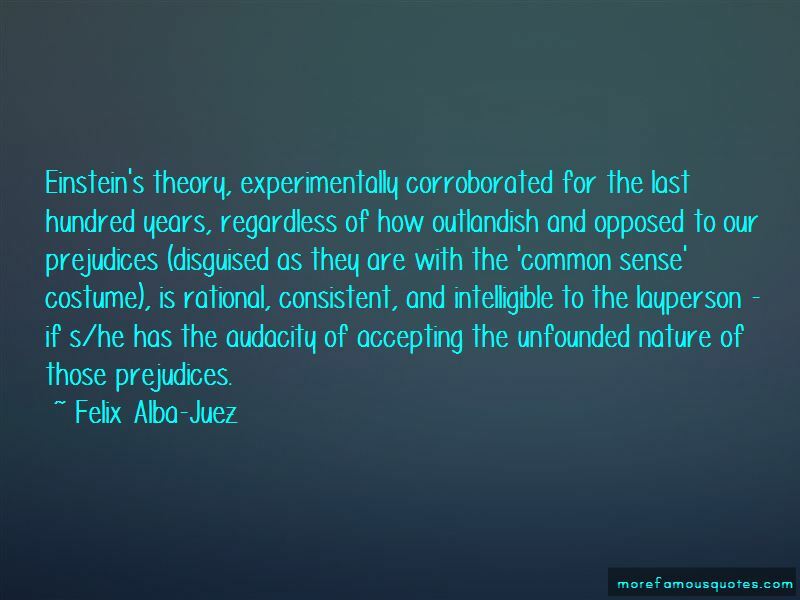 Click on image of Felix Alba-Juez quotes to view full size.